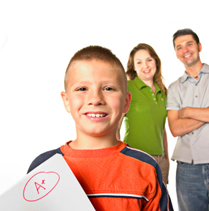 | Healthy Living Articles | Food and Meals | Does Your Child Make The Grade? Take this short quiz to find out how your child’s eating habits compare to current recommendations. 1. How many servings of whole grain bread, cereal, rice, or pasta does your child eat per day? 2. 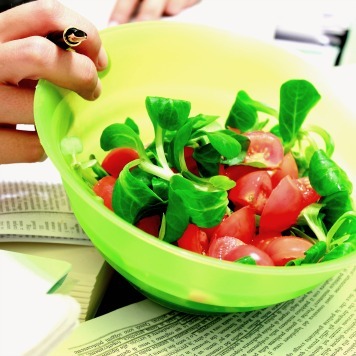 How many servings of fruits and vegetables does your child eat per day? 3. How many servings of low- or fat-free milk, cheese, or yogurt does your child eat per day? 5. How much juice, soda, or other sugar-sweetened beverages does your child drink per day? 6. How much time does your child spend each day being active? 7. How often does your child skip breakfast? A’s: Keep up the good work! 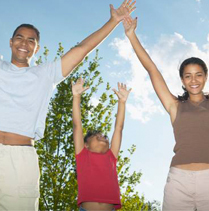 Try sharing your healthy habits with family and friends. B’s: You’re almost there! Fine-tune your kid’s eating habits by reading the tips below. C’s: Work on the basics of healthy eating by reading the tips below. Strive for five fruits and vegetables everyday! These super foods are jam-packed with nutrients that are crucial for growth, such as vitamin C.
Build healthy bones with calcium rich foods! Wean your child to low- or fat-free milk, cheese, and yogurt to help promote a healthy weight and lower the risk of heart disease. Two to three servings a day will get your kid off to a great start! three servings of meat is about the size of a deck of cards. Go with lean meat, skinless poultry, fish, and don’t forget the beans! Limit juice, soda, and sugar-sweetened beverages! They can add excess sugar and “empty calories.” Try diluting 100% fruit juice with water or better yet, reach for a piece of whole fruit for added fiber. Get active as a family! Kids need at least sixty minutes of activity each day to promote a healthy weight and strong bones. Turn off the TV and have a family “dance-off” competition, or ask your kid to join an organized sport like soccer or tennis. Fuel their brain with breakfast! Studies show that kids who eat breakfast improve their memory and performance in school. Promote positive food habits early, and remember that it’s all about moderation, balance, and variety. The learn more on earning all As in your child’s diet and to make sure your child gets all the nutrients he or she needs see, Where to Find the Fiber, Fruits and Vegetables, The Calcium Connection, Parents: Facing Fat Facts, Rethink that Drink, Fitness and Wellness and How to Get Your Tween or Teen to Eat Breakfast. Parents, it’s time to see if you make the grade. Test your knowledge of healthy eating by answering the following questions. 1. Getting enough calcium rich foods during childhood is important in preventing bone problems like osteoporosis later in life. 2. 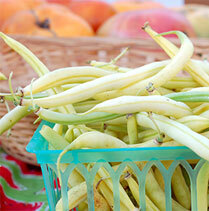 Foods that contain fiber include fruits, vegetables, whole grains, beans, and nuts. Educator Tip: Incorporate this quiz into a nutrition lesson plan for parents or kids. Nicole is a registered and licensed dietitian specializing in adult weight management, bariatric nutrition, and cardiovascular wellness and is based in Dallas/Fort Worth. She is the co-founder of Urban Nutrition and enjoys working with clients from all walks of life from stay-at-home moms to busy professionals struggling to achieve their weight goals. Nicole believes in the “all foods fit” philosophy that allows you to still eat the foods you love while achieving a healthier life.